This brightly colored piece of handmade dichroic glass is truly unique and one of a kind. 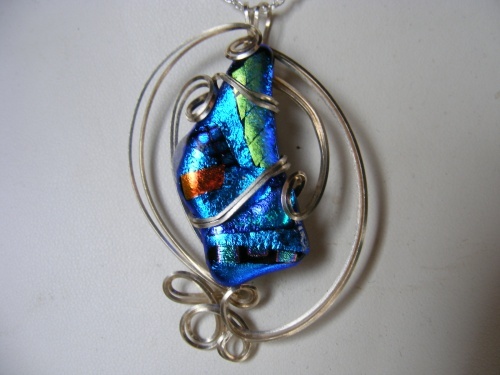 Handmade by glass artist Rhonda Young and, sculpted in argentium silver. Piece measeures 2 1/4" from top of bail to bottom of piece and comes with a sterling silver chain.